Dorell Phillips Sackett and her husband Mark have lived in Quail Hollow for 18 years. Mark is an avid surfer (think dawn sessions). Their two daughters are vegetarians and Dorell is a dedicated vegan. Their family includes four dogs, one of which is always a foster from the shelter, and a cat. Exploring this town has led the Sacketts to exciting spots such as the tire swing at Indian Head Trail, Encinitas Ranch trails, Leucadia Farmers Market on Sundays, and many local beaches. SNAP’s Neuter Scooter surgical bus offers low-cost services. A second bus is in the works. SNAP also works to reduce euthanasia by placing animals in foster homes. 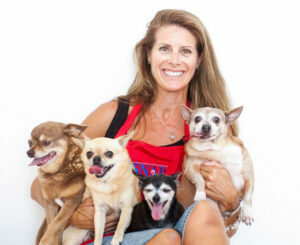 “In the space of 10 years,” added Dorell, “over 50,000 pets have been fixed in San Diego County in under-served neighborhoods where the need is greatest.” She encourages those who love animals to pay it forward. Volunteers are needed in monthly adoption events, medical check-ins, and in compassion workshops, where those with sociable pets can interact with families and inspire optimal pet care. 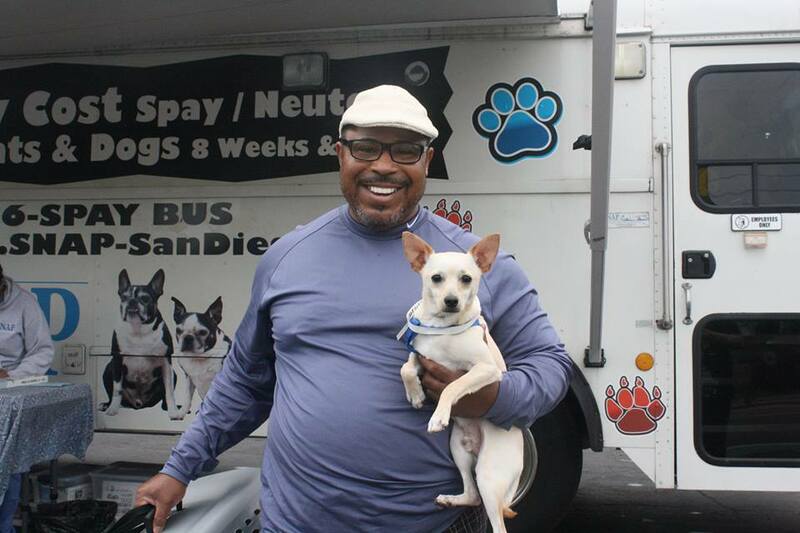 “Being thanked for the work that I do while a client holds his or her pet lovingly before boarding the bus and picking up after surgery is something that never gets old,” added Dorell. 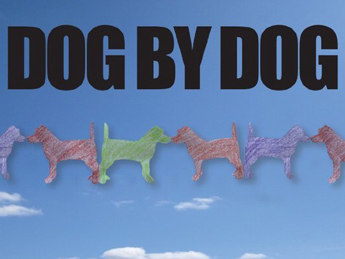 She’s reminded of her mission to help when she returns home to her furry family members- wagging tails and all.